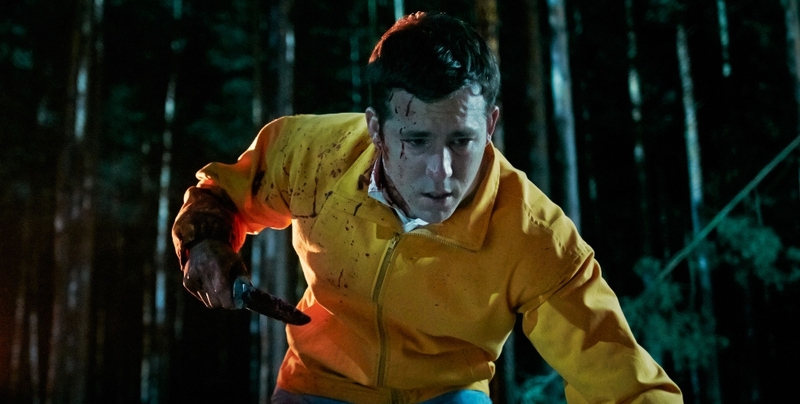 The Voices Trailer - Are You Screening? We’re moving further and further into a realm of film that allows quirky little bits of crazy to pull in some serious names, and up the game on projects that hope for a cult following in a way that no one would have predicted a couple of decades ago. The Voices is the next up on the growing list of potentially awesome crazy, and it stars Ryan Reynolds, Gemma Arterton, and Anna Kendrick in a bizarre comedy/horror about a guy whose cat tells him to do evil things. The film is also directed by Marjane Satrapi, which isn’t as likely to mean anything as it should. She first came on the scene with 2007’s Persepolis, which was wonderful, but her two follow-ups didn’t manage a lot of attention in the U.S., despite the fact that Chicken with Plums was a very cool story. That adds another level to things. Beyond just getting some people you’ve heard of to star in a movie about talking cats and dogs, and/or psychotic murderers (and don’t miss the photo below of Arterton’s head), we’ve also got a director who known for quality, high-concept stories, not goofy horror, so there might be something very interesting going on here.